October | 2013 | Where's your head at? In my application for the AHT post at my school, I mentioned that despite the best efforts of the head of year 7, our transition program was a bit of a mess, well for me it was anyway. The two days, where the Year 6’s come in to get a feeling for life in a secondary school should be seen as one of the most outstanding opportunities for you to set out your stall as a school; this is what we will give you, and this is what we expect you to be, and there is no better place for you to be than here. This school is a place where we can take your learning to new places, greater heights and open new doors to where your life might lead. In previous years, whichever teachers had free lessons in lieu of Year 11 leaving, were expected to teach a lesson. No joined up experience, no real point apart from ‘This is French, this is Art, This is Maths’, closely followed by ‘Get used to it’ I would watch students sitting in our gym, feeling just a bit uncomfortable, whilst teachers would arrive, pick the classes up one by one, to give them a 45 minute spiel about their subject. There was a huge amount of listening involved in some curriculum areas, and not a great deal of inspiring learning happening. I would look at some rather drawn faces at the end of the day, perhaps with some of their dreams a little tainted by 3pm on Friday. This just wasn’t good enough. It wasn’t fair to them; they have just spent the last 6 years of their lives at primary school, just building up to this crucial moment. We as a school have a once in a lifetime opportunity to set out a clear path of expectations and possibilities. Teachers have a chance to grab their new learning customers and get them to buy everything in the shop, but this just wasn’t happening. Not one little bit. I decided to come up with a project based on the theme of ‘beachcombing’ inspired by that amazing grains of sand picture under a microscope. I held a meeting with the head of geography, design tech, second in English, head of Year 7, and two budding young Science teachers to try and set out a plan of action. 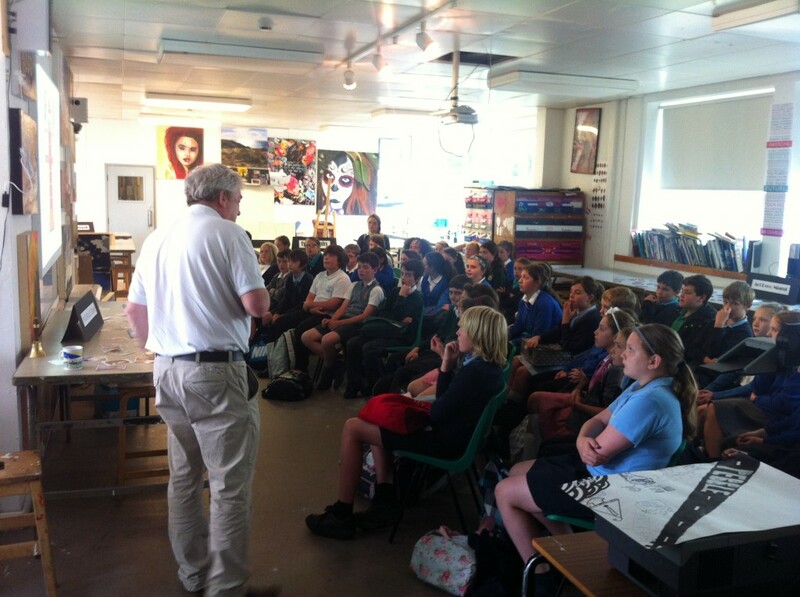 Now, this was about three or four weeks before the Year 6 cohort were to arrive, so the time was very tight. I gave some examples of how we could approach this from these subjects’ perspectives and explained my worries about how we have always done it. 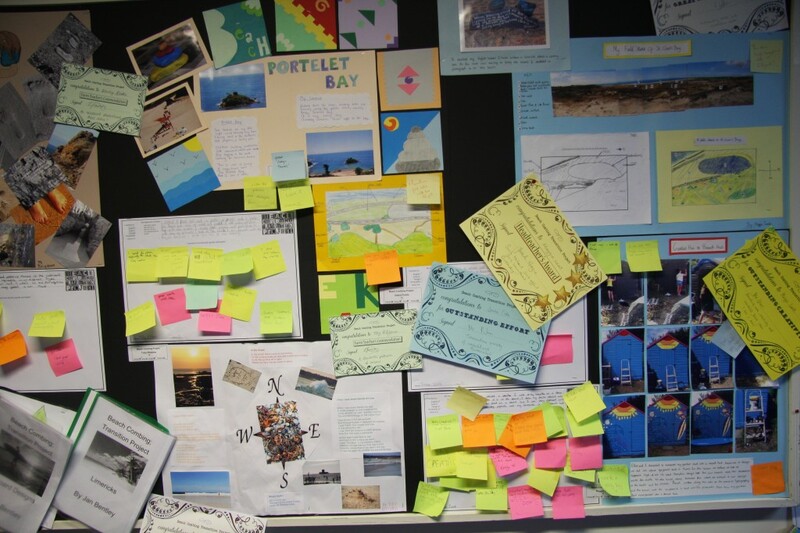 Each department was to have a 2 hour lesson, so that they could make the experience worthwhile, and had to design a memorable learning experience around the theme, with an attached optional homework, for students to explore their learning further over the holidays. Within a week, I had 4 really interesting proposals of how students would spend their two hour slots, what they would be learning about and how they could further their learning over the summer break. It looked really good, it really did. I put together a homework document for students to take home and discuss with their parents and worked closely with the head of DT to create a fantastic learning experience for them. English focused on a range of poetry styles; analysing some famous poetry about the shoreline, exploring a sensory carousel, listening to the sounds of the sea and creating some brilliant poetry at the end of the two hours. 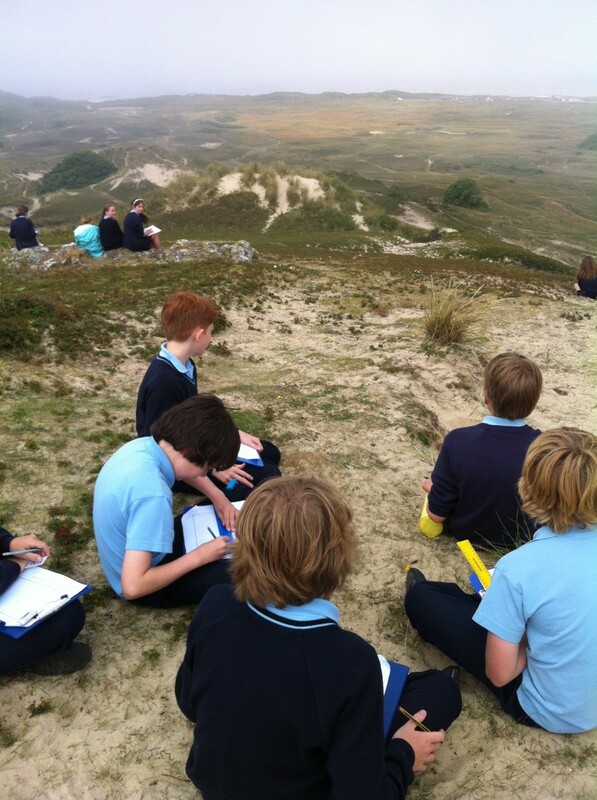 Geography investigated why Jersey is the shape it is, how different rocks are formed and were taken on to the dunes to learn how to create a field sketch of St Ouens Bay. In the fog. I kid you not. If you look hard enough, you may just notice the sea! 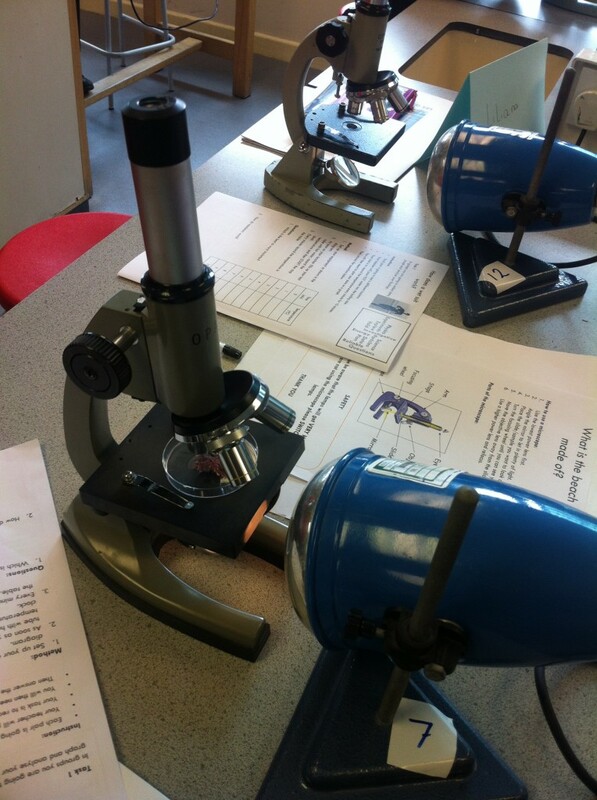 In Science, they had a smorgasbord of learning experiences such as ‘how do wetsuits work’ a rockpool mystery’ and a look at cell structure of seaweed and what an individual grain of sand looks like under the microscope. A who dunnit rock pool mystery! Not quite an electron microscope, but very cool all the same. In design, students were given an impassioned lecture on design classics and explored and commented on a whole range of design movements, from art deco, to Memphis, to natural forms which would then inspire their beach hut panels which were to go on the beautiful Miami lifeguard towers. 50 kids, one Mr Booth explaining why that red box with a thing called a telephone is such a thing of beauty. I helped teach the design one and managed to get round to see all the other experiences. The students LOVED IT! Being taught by teachers who were passionate about their subject, committed to improving the transition experience and loving the opportunity to spend more than a fleeting lesson to ensure they really learnt something. At the end of the two days, I had several lovely emails and letters from parents to say what a buzz their children had had, and how they came home full of excitement about learning and doing great things. Over the holidays, I kept open a forum for students to speak to each other about their homework task and ask me any questions. One student in particular really caught me with her comments about doing too much! I wondered how much students would do. Would they have lost that excitement over the holidays? Would their enthusiasm have waned over the 6 week break? Only time would tell. 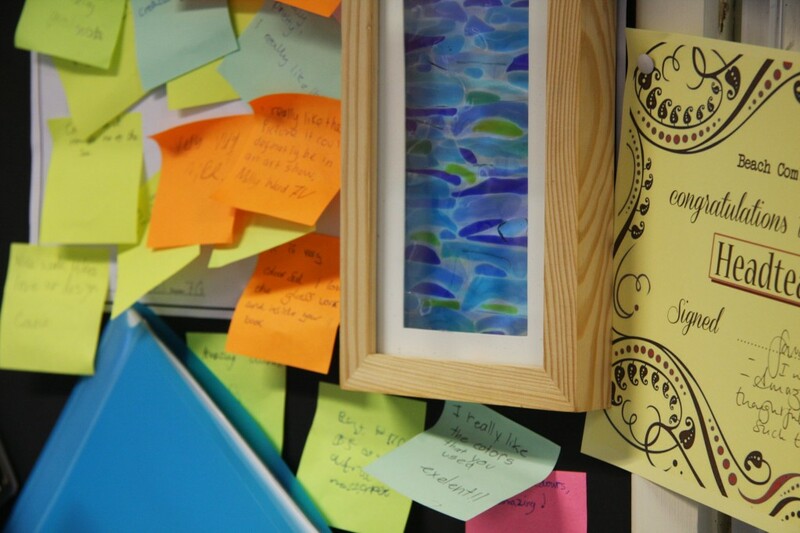 We had an exhibition day, where, in unparalleled chaos, we took three hours to put up an exhibition of over 150 students work, with all the kids helping, whilst lessons went on around us. It was a bloody nightmare to be honest, but the children beamed and sparkled with pride as their work went up around us. 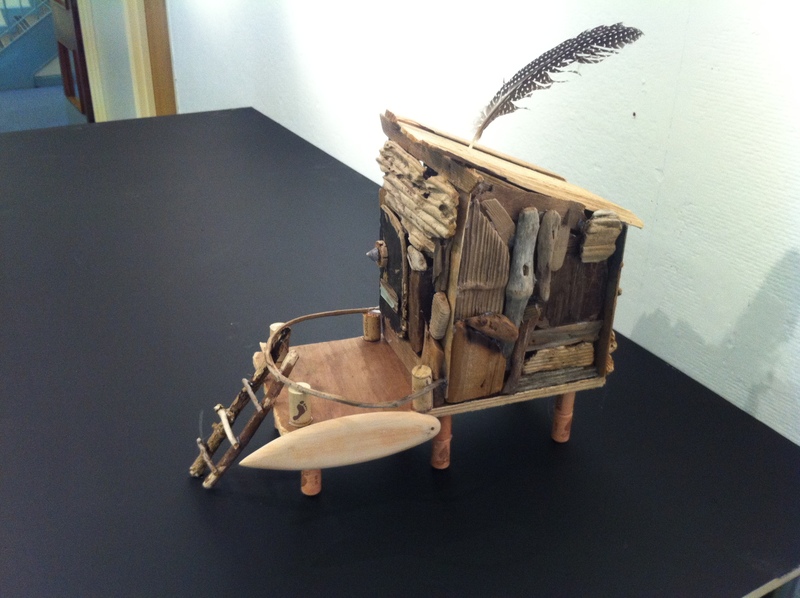 More and more tables had to be brought in to display umpteen beach huts, scaled models of geographical features, huge posters filled with different types of carefully labelled seaweeds and food chains, books and books of stunning poetry, and much, much more. 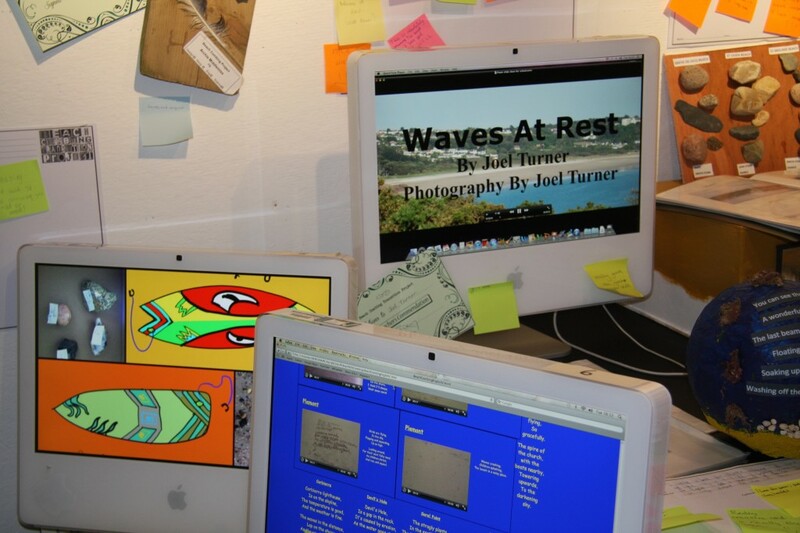 My favourite was a hand built website, with links to videos of a student performing his poetry on loads of different beaches around the island and this blog with Design, English and Science work expertly displayed. 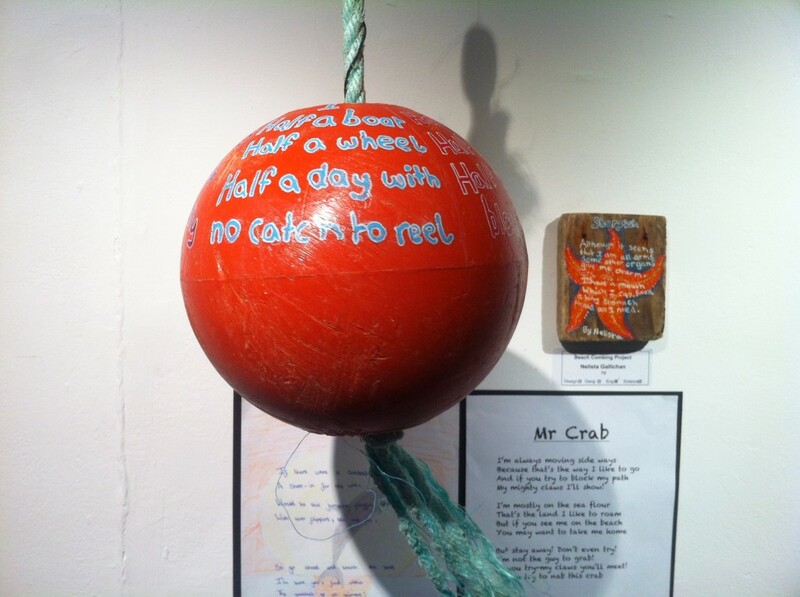 It brought a tear to my eye and a lump in my throat that so many kids wanted to make such an extraordinary effort to produce something of such wonderful value. 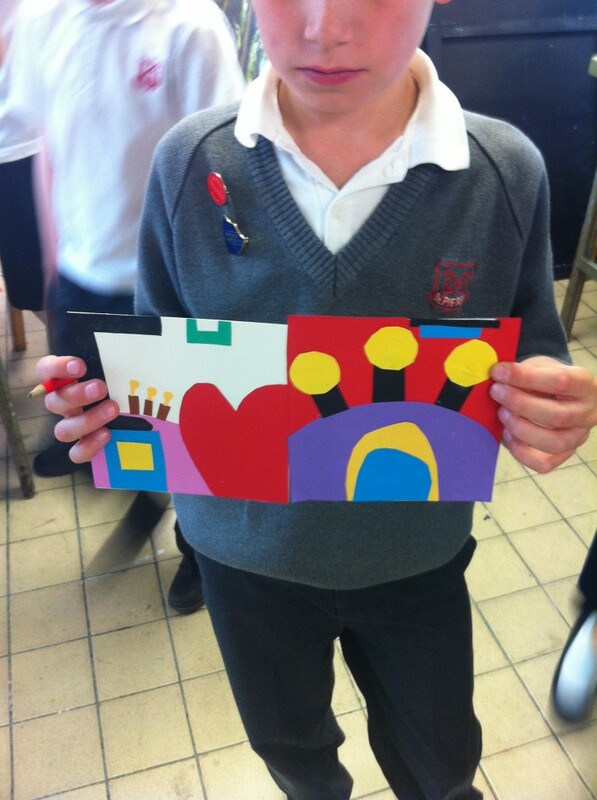 Parents enjoyed being able to comment on the work. Hand made glass panel made from beach glass, with lots of comments! A huge variety of homework explorations were on display, including a painted garden shed! 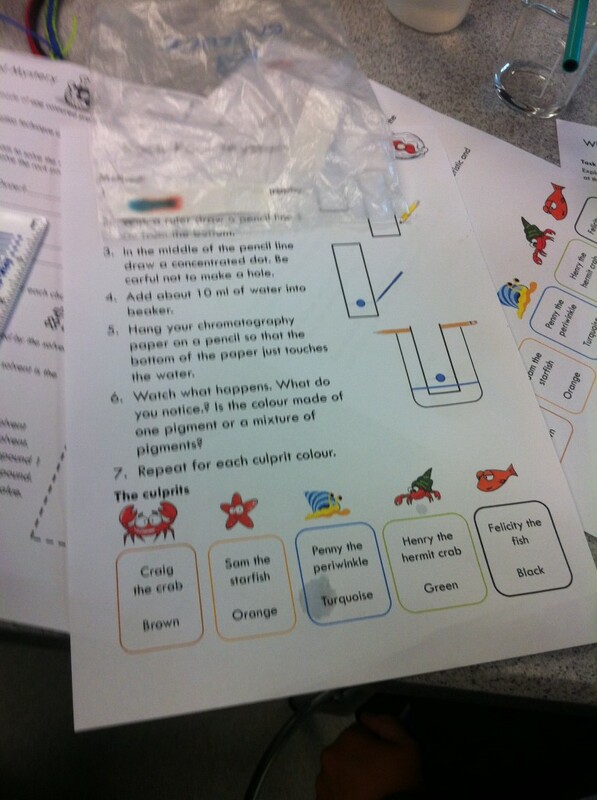 A great use of ICT by some students. There was some unrivalled rubbish in there, but that was a very small minority; I could count them on one hand. Each student had to put a comment sheet next to their work with a ‘Statement of Intent’ where students had to explain what they had done and how they did it. 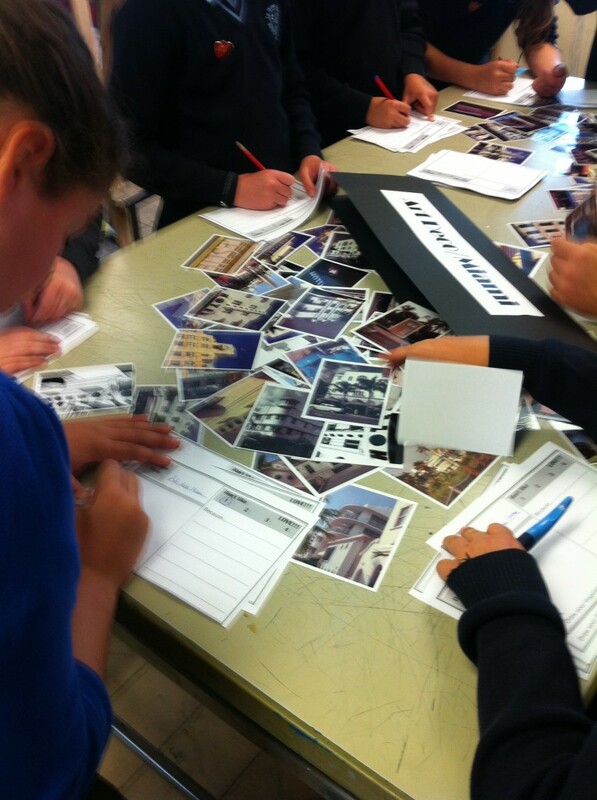 In the afternoon, I took three groups at a time to critique the work. 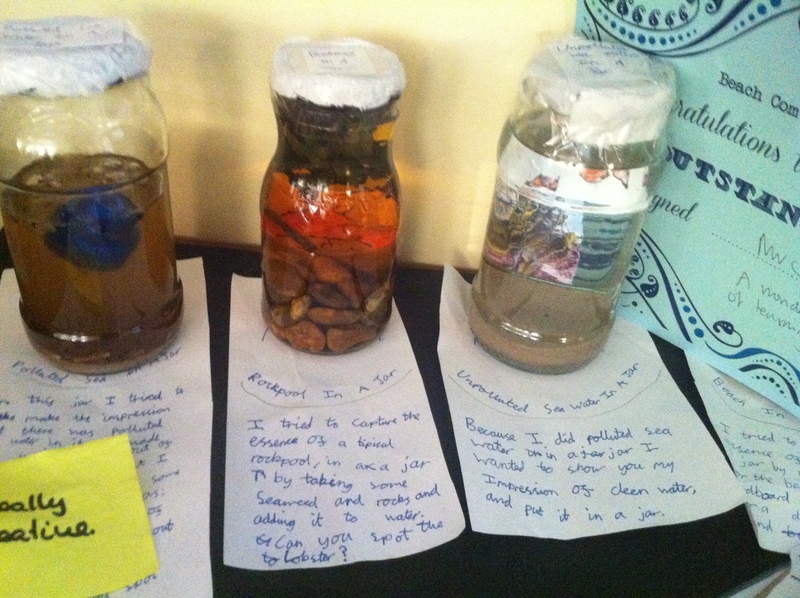 This they loved, giving delicate, but affirming feedback to students on their comment sheets. 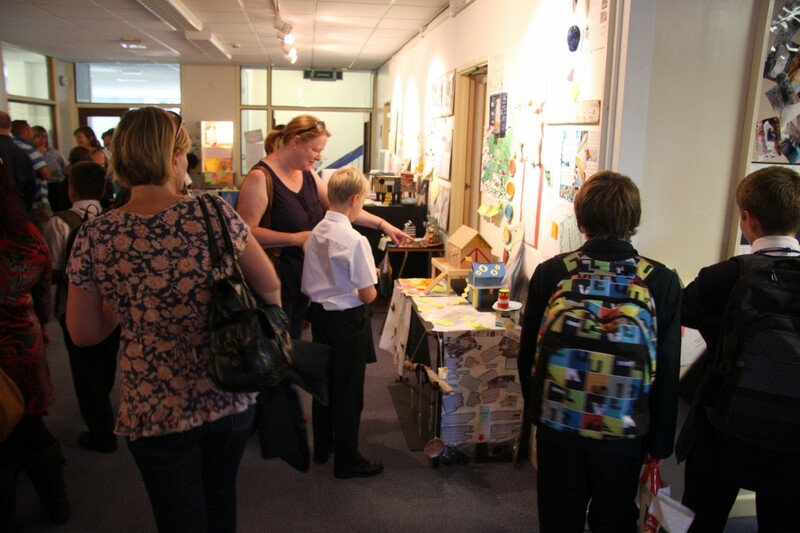 After school, parents came in to look at the exhibition and their teachers had a chance to critique and award a range of particular certificates to reflect the range of skills and understanding on display. Rock pools in a jar! Just the coolest beach hut EVER!! I’m sure this sounds great, but it could have been better. 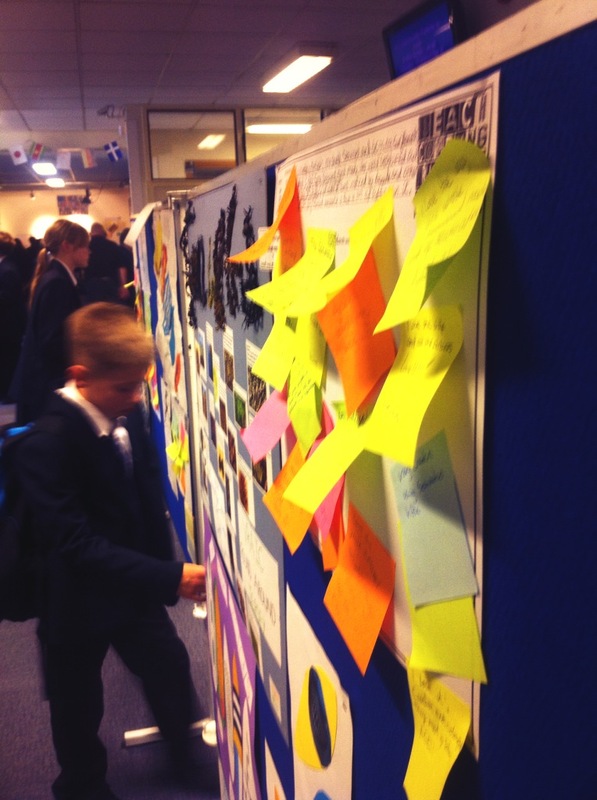 It was crammed and it was difficult to give everyone the display their hard work deserved. Many students had explained to me that they had never tried so hard to create something of value, but I’m sure many students didn’t get the feedback their hard work deserved because there were so many outstanding pieces to take the eye away from the everyday. One student lost his work which he placed in his form room. That was unforgivable. 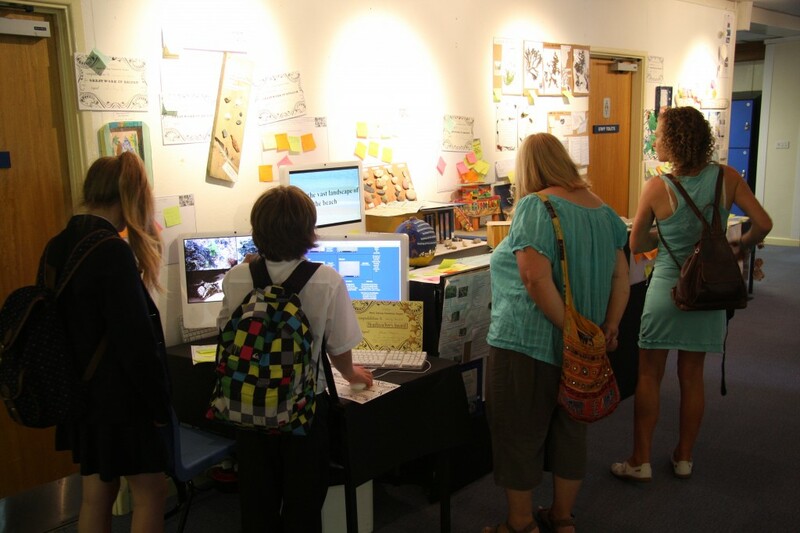 We had a great deal of parents in and invited in all our feeder primary schools to look round too. Parents were really happy with the start their kids had made. In my heart, this felt a little worrying, because now is when we really have to raise our game. The buzz which the project and subsequent exhibition provided was intoxicating for those children and their parents. But how will this translate into classroom expectations? I guess time will tell, but it won’t be enough. Students will switch off, be disappointed, get bored, feel frustrated and tune out. We are a work in progress, needing a great deal of critique to get us to the excellence our students deserve. The curriculum and the teachers who teach it need to remember just how brilliant our young people can be when we set the right conditions for learning and expectations. As I said at the new headteachers ‘vision’ talk later that week; there are three sets of people who don’t realise the potential of young minds; their parents, their teachers and the children themselves. My new job as a director of learning at key stage 3 is to do something about that. 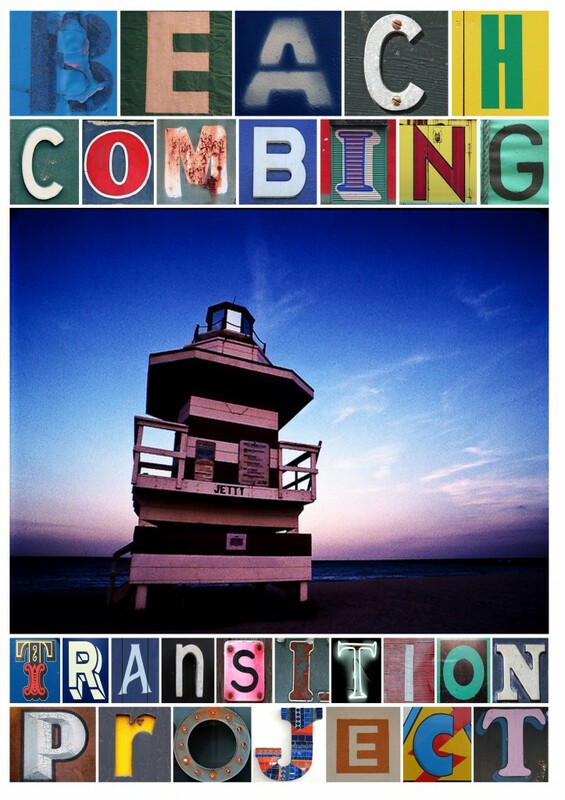 The transition project was a small nudge in the right direction.